A single plant of hanging basket favourite Garden Lobelia Lobelia erinus was found growing near the shops, the first record for the recording area. At least one Bottle-nosed Dolphin was still offshore. The pod of 5-6 Bottle-nosed Dolphin were again offshore. At least four Clouded Yellow were on site today, most around Greenland Lake, also here a single Silver Y. Over 100 Large White were also seen during the day along with a few Red Admiral. 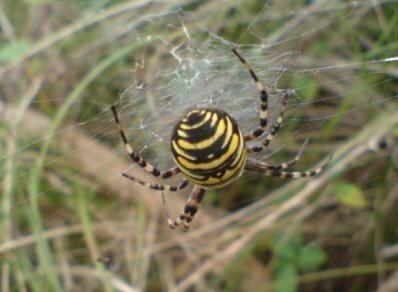 At least five Wasp Spider were seen along the Dune Ridge. A pod of at least five Bottle-nosed Dolphin were again offshore. A Grey Squirrel was seen along the Dune ridge near Groyne 11. This is a barely annual visitor to the reserve. 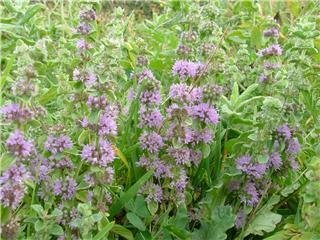 Pennyroyal is now in flower at several locations around the reserve. This are the result of translocation, some more successful than others, from the small at risk population on Warren Point. This original source may have been lost following the fire in late August. This Dune Stinkhorn was found along the Dune Ridge. 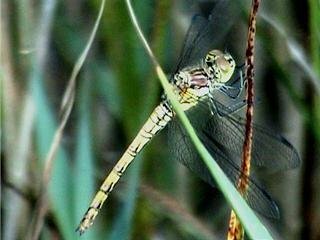 A possible female Vagrant Darter was seen and photographed by the Dune Pond. If accepted this would be the first record for the Warren for this national rarity, the first in Devon for over 60 years and the first in the UK since 1997. 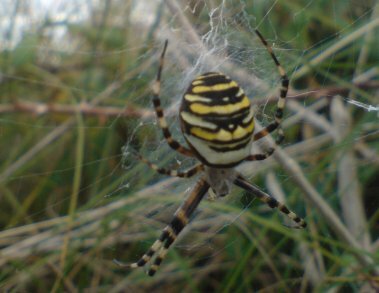 The first Wasp Spider of the year was found along the Dune Ridge. A Clouded Yellow was in Greenland Lake. 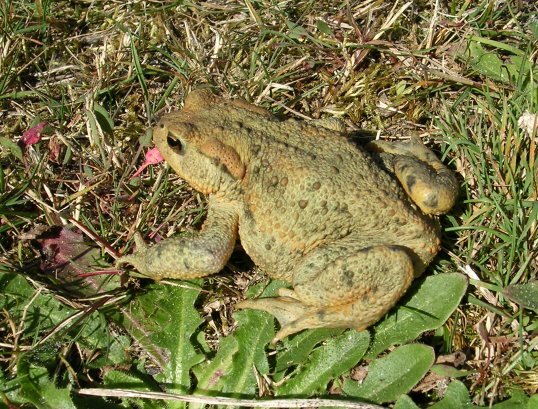 The Toad was found along the Back Path. At least eight Dark Bush Cricket were calling around the second tee in the evening, only the second record for the reserve and the first adults. A Painted Lady was in Greenland Lake. Overnight two hectares of Warren Point, centred around Soft Sand Bay was burnt, the most serious fire on the reserve for many years. This area did hold several species found nowhere else on the reserve as well as a good population of Sand Lizard. 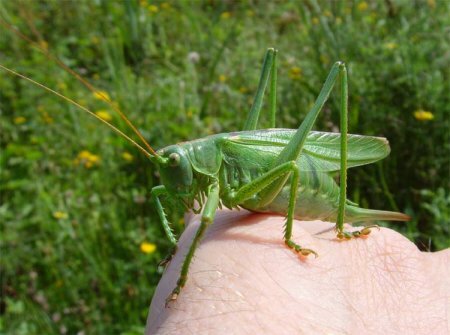 At least six Bottle-nosed Dolphin were again offshore, a Grey Seal was in the estuary and only the second reserve record of Speckled Bush Cricket was found in the Back Meadow. At least three Bottle-nosed Dolphin were offshore, a Black-tailed Skimmer was along the Back Path and a battered Old Lady was found sheltering behind the Visitor Centre. 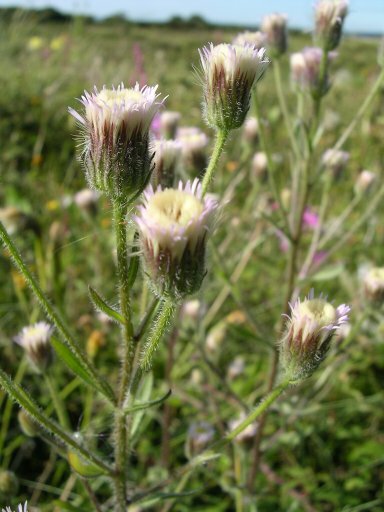 Red Bartsia was found growing along the Wryneck Path - a new species for the reserve. A Clouded Yellow was in Greenland Lake. The Banded Demoiselle was seen again along with a Black-tailed Skimmer. Offshore there were at least five Bottle-nosed Dolphin, the first of the year. A Banded Demoiselle was near the First Pond. A Wall Brown and a Painted Lady were in Greenland Lake with good numbers of Great Green Bush Cricket around the reserve. 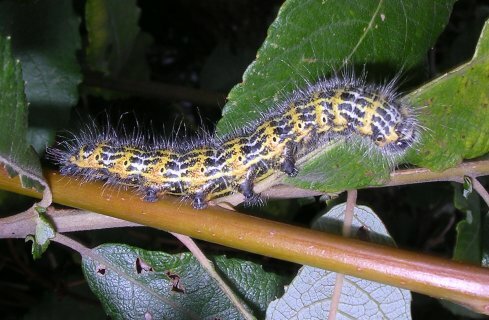 This Buff-tip caterpillar was found near the Main Pond. 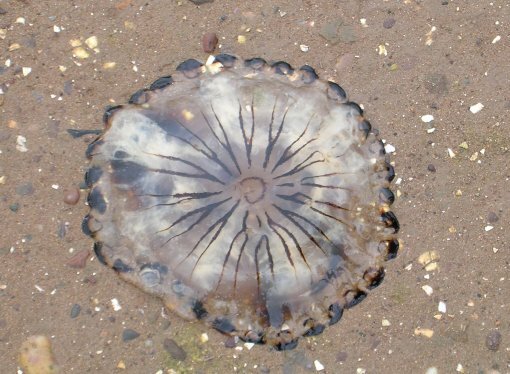 Blue Fleabane was discovered growing on Warren Point and a Compass Jellyfish was washed up in the Bight. A female Beautiful Demoiselle, the third record this year, was by the Main Pond. 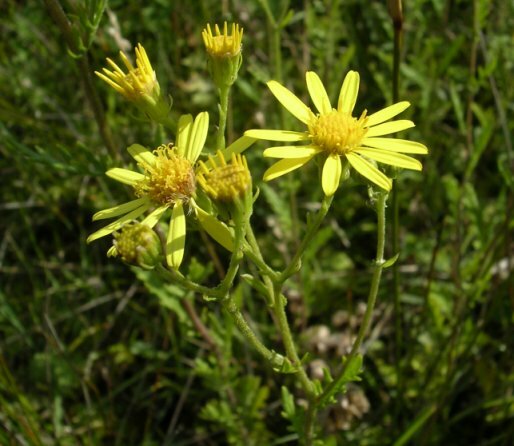 Two recent plant discoveries on site are Blue Fleabane on the Dune Ridge and Marsh Ragwort in Greenland Lake. Neither of these species have been recorded on the reserve for over 35 years. 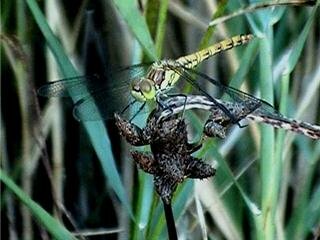 A good day for dragonflies on site with Migrant Hawker on Warren Point, a Beautiful Demoiselle briefly by the First Pond and a Southern Hawker in Dead Dolphin Wood the highlights. 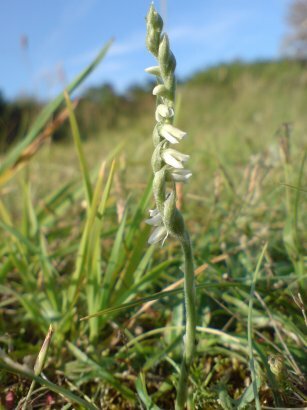 The first Autumn Ladies Tresses are in flower by the Crocus Compound. A Slowworm along the Back Path was an unexpected highlight - the first confirmed record for the reserve for at least 20 years! 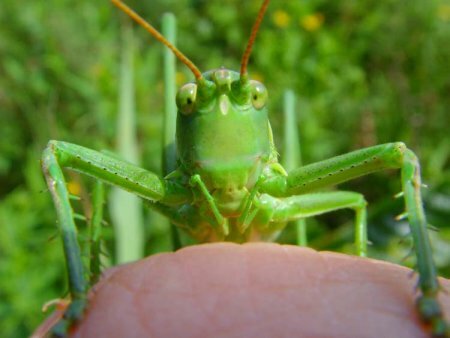 Elsewhere Lesser Cockroach was noted along the Dune Ridge and Great Green Bush Cricket are vocal in any area of low scrub. The brief spell of fine weather today allowed a few butterfly counts these included six Small Skipper, five Common Blue, four Large Skipper and Small Copper and three Brown Argus. Also seen were at least five Silver Y and three Six Spot Burnet. A female Black-tailed Skimmer was in Greenland Lake and the first Jersey Tiger of the year was on the wing. A Beautiful Demoiselle, again only the second for the reserve following one last year, was seen near the First Pond. A White Admiral, only the second for the reserve following one last year, was seen flying along the Dune Ridge. A Large Tortoiseshell, the first for the reserve, was seen and photographed near the First Pond this afternoon. This was the 31st species of butterfly recorded on the Warren. Also on site at least a dozen Red Admiral and a Ruddy Darter.